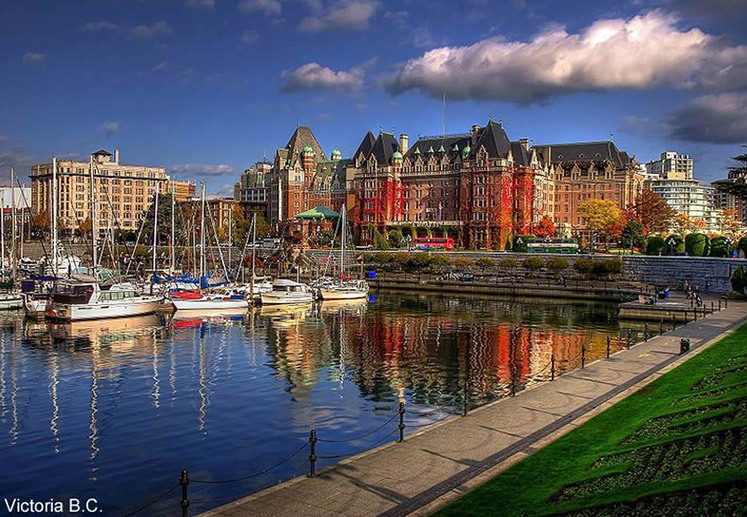 Port Angeles Inn is the gateway which leads to Beautiful Victoria B.C. We have guest from all over the world who come to stay and take day trips on the Black Ball Ferry Line. Victoria is only 18 miles crossing time which takes about 1 1/2 hours. Remember; Victoria is located in a foreign country a Passport is required to enter and leave Canada. The U.S. Customs office phone number is 360-457-1221. For the ferry schedule click here. The World Famous Butchart Gardens was founded in 1904. From the exquisite Sunken Garden (once a limestone quarry) to the charming Rose, Japanese and Italian gardens, this 50 acre showplace still maintains the gracious traditions of the past. The museum is located in the Inner Harbor area. The well-designed museum offers something for everyone. Also located in the Inner Harbor is the grand old Empress Hotel. Be sure to browse through the many intriguing shops and perhaps linger awhile and enjoy High Tea. Built in the late 1800s by Robert Dunsmuir, a Scottish immigrant who made his fortune from Vancouver Island coal. Prince of Whales is the largest year round whale watching and eco adventure company in British Columbia. On one of their tours you may see humpbacks, greys, minke, and gray whales as well as harbor seals, elephant seals, Dalls’s porpoise, harbor porpoise, California sea lions, Steller sea lions, bald eagles, common murres, and cormorants. Bring your camera and get ready to experience an adventure of a lifetime. We want all of our guest to think of us as their very own "home away from home". We provide clean, comfortable, and quite lodging with great rates. You will find our friendly staff eager and ready to accommodate you with not only a relaxing place to stay, but information about the area as well. Riviera Inn Motel 2019. All Right Reserved.